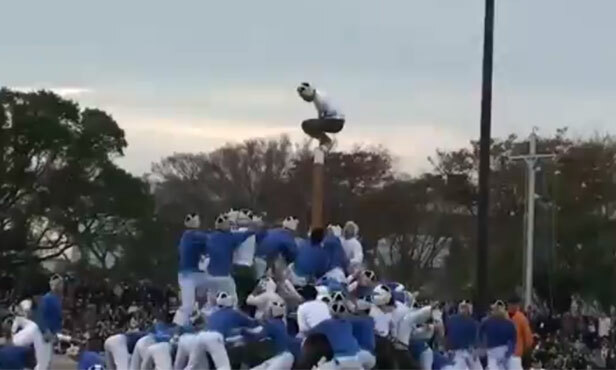 This is a crazy new sport in Japan called Bo Taoshi. It’s like Capture the Flag meets Rugby… except much more violence. Check out the video below. The rules are simple: There are 150 men on each team. Seventy-five men defend their team’s pole, while the other 75 try to pull down the opponents pole. This is done by any means necessary, and as you can see below, the mayhem is brutal, and of course stupid. A winning strategy usually involves running up the backs of your teammates, it seems, and launching yourself at the enemy pole.